Scroll down to enjoy our successful expeditions over the last five years. The expeditions are listed in chronologic order. 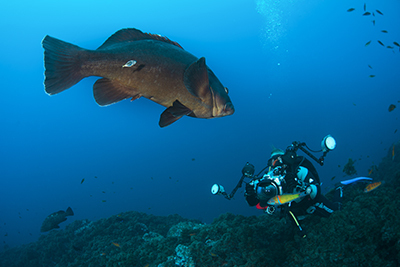 Cocos Island is tiny and remote island off Costa Rica ranking among the best dive destinations in the world. There are several reasons why this is the case but the abundance of sharks is one of the strongest arguments. 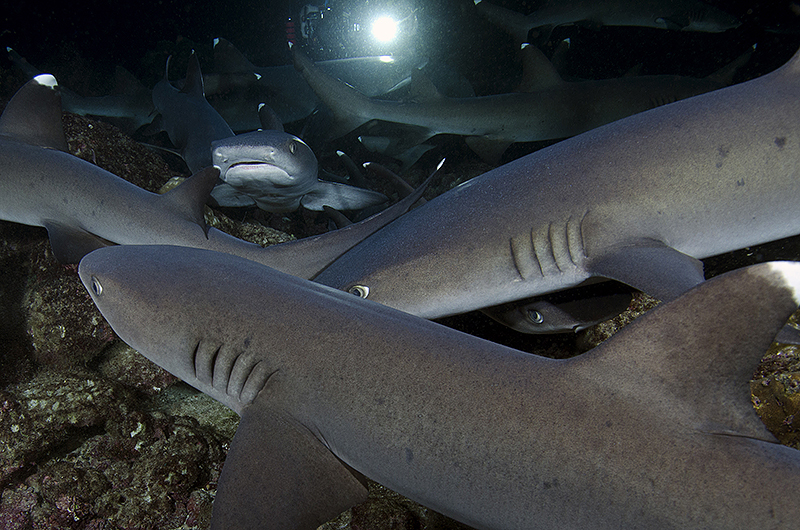 Cocos Island is maybe the best place on earth for unbaited shark diving. Klas, marine biologist and UW photographer, and his group of explorers met scalloped hammerheads on almost all our dives. Whitetip reef sharks are everywhere and there is a special night dive (rated best in the world) packed with hunting whitetips. They photographed Galapagos sharks and silky sharks quite a few of the expedition participants spotted a tiger shark at close range. 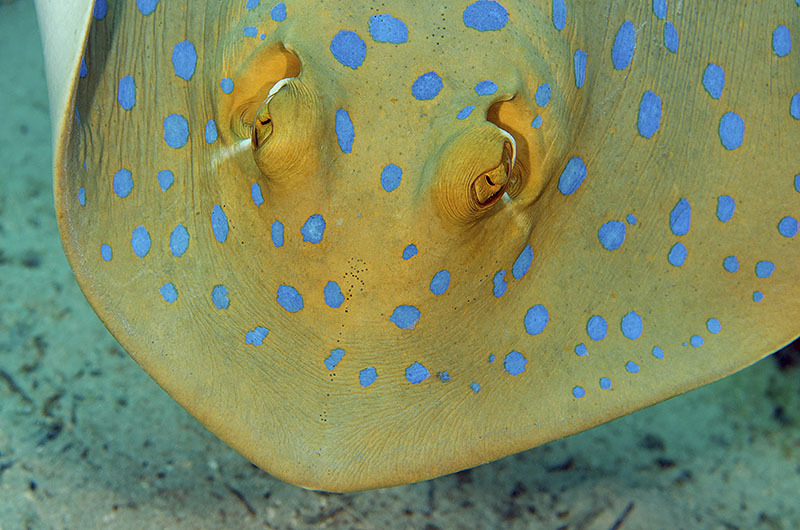 More action included the curious stingrays often swimming all the way up to your mask. We saw eagle rays and mantas regularly but the most impressive were actually the big schools of trevallies and tunas that enfolded us from time to time. Exposure Expeditions hope the Costa Rican government and the park rangers on location will hold the fort and protect this jewel for the future. Topic: Adventures in the blue! 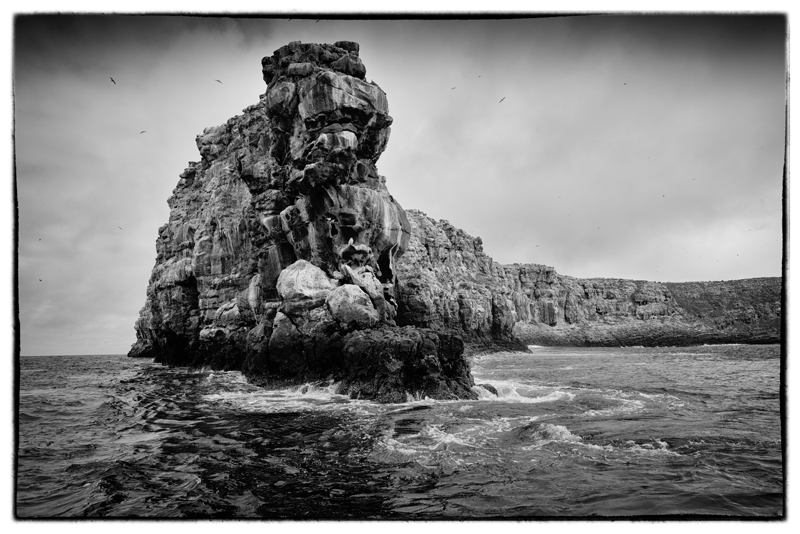 A group of sea lovers and UW-photographers from Sweden, Italy, Denmark, Sweden and Skåne joined Magnus Lundgren on a magic blue water action trip visiting sea mounts, off shore banks and along the Santa Maria coastline. A trip carefully planned regarding operator and location. The schooling mobulas was the main spectacle around Ambrosio seamount and their social dance around us sometimes 15 or more in one groupe will stay on our brains harddrive forever. Amamzing. We also managed to get weather for a visit to Formigas and Dollabarat far far out in the Altantic Ocean with huge almost tame groupers coming up to us to have a close look. 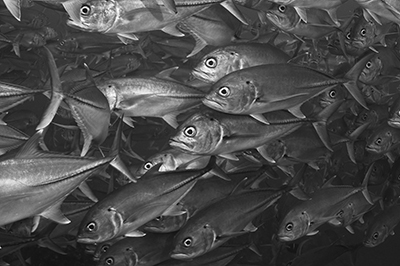 Large schools of barracudas, trevallies and amberjacks form around the sea mounts and triggerfish aggregating in huge numbers closer to shore. 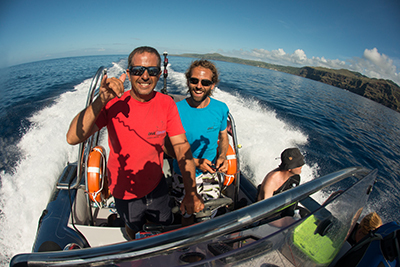 We also went all the way out to "real" blue shark bank half way to the main island Sao Miguel from Santa Maria. This year the blue sharks where not there and according to Paulo the fishing pressure is way over the top at the moment around Santa Maria. 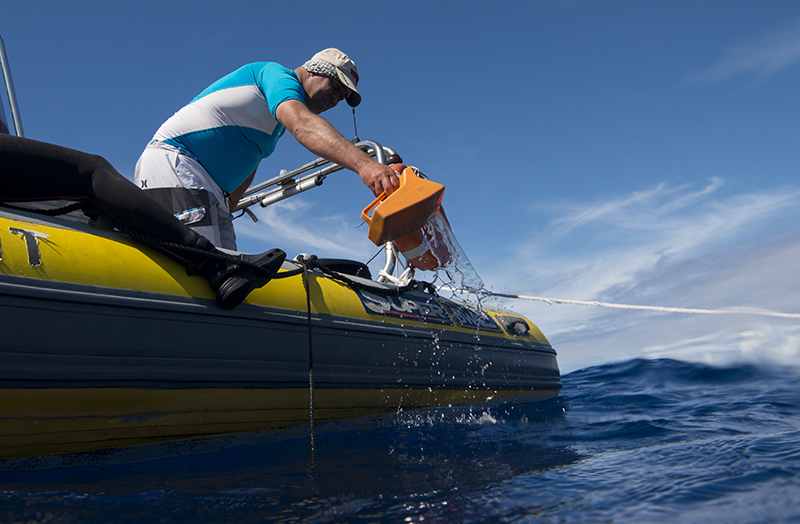 That is why we set up our 2016 Azores Expedition to Pico Island where the shark sitings have been stable and there also are a good chance for the mako shark. 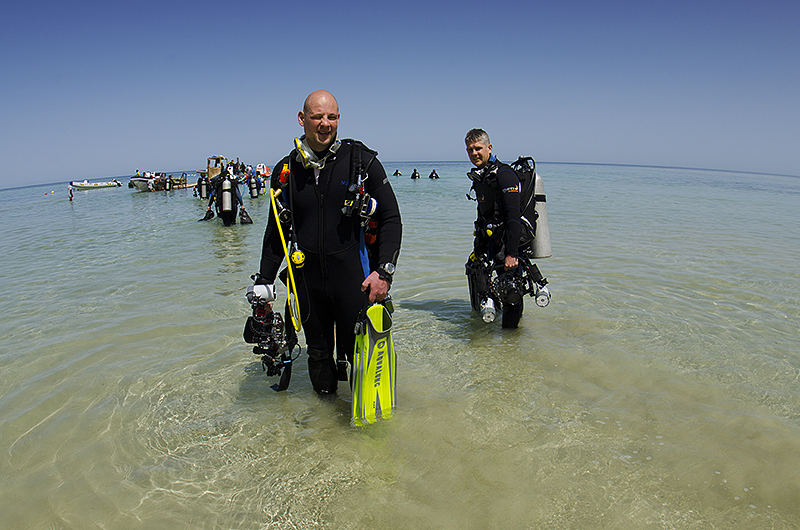 Topic: The world's richest coral reefs & outstanding muck diving! 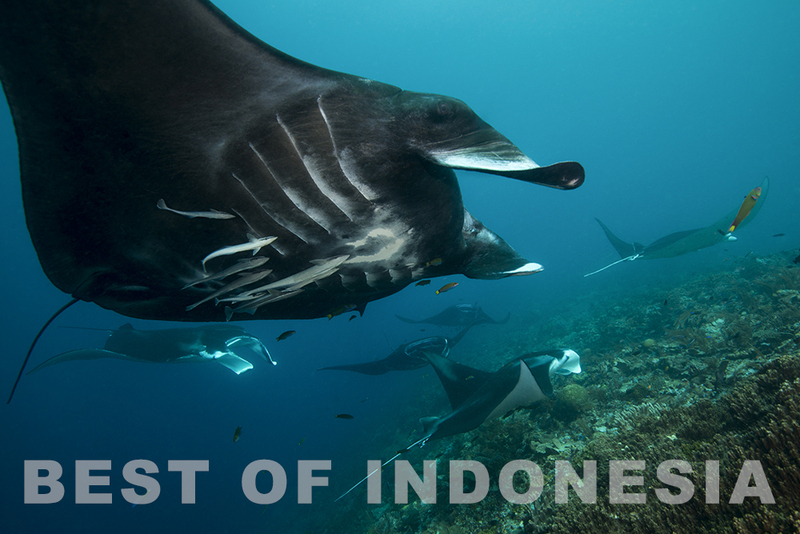 Magnus Lundgren and a group of enthuisastic photographers visited the epicentre of the coral triangle in Raja Ampat. 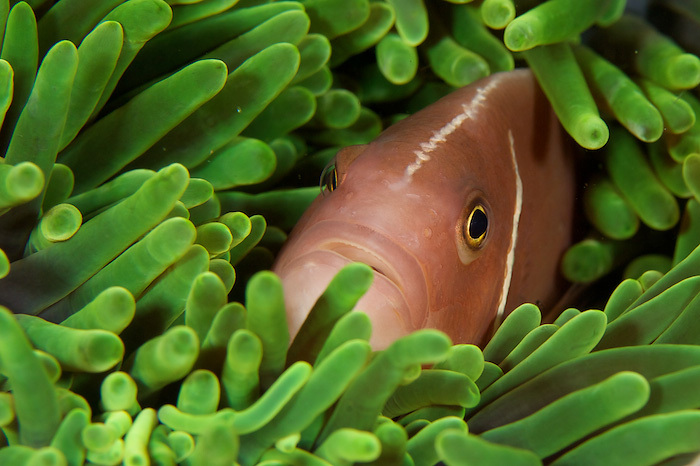 More coral and fish variety than anywhere else in the World. 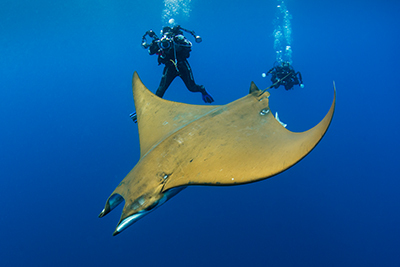 We ventured into wide angle photography in manta cleaning stations and over endless coral reefs and we met carismatic animals like mantas, wobbegongs and huge schools of colorful fish. 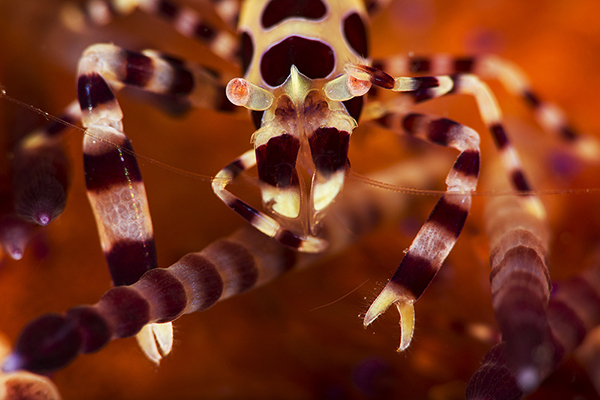 Second week we explored the great muck dive sites and critters in Lembeh Strait where we found for subjects like hairy octopus, mandarin fish, pygmy seahorse, harlequin shrimp, mimic octopus, boxer crab, Coleman shrimp, frogfish of all size from thumbnail-sized until giant hairy ones. We worked on our creative macro photography skills. 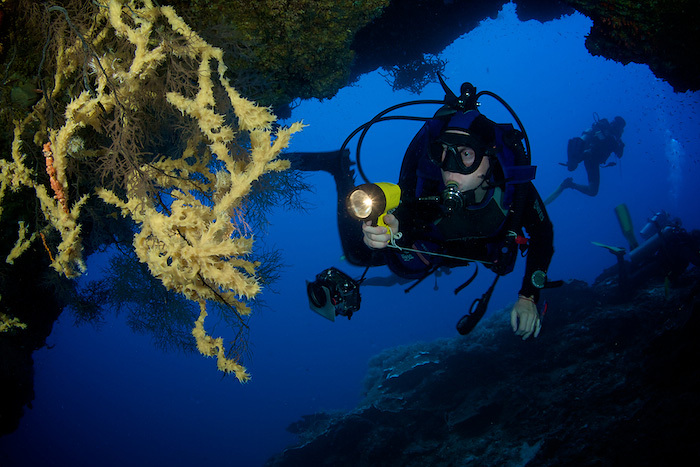 This is an irresistible combo of Indonesian dive locations spiced with top-notch diving from clear world class coral reefs to muck diving at its best. Magnus Lundgren and a group of enthuisastic photographers from Sweden joined Rui Guerra looking for blue water action at sea mounts, off shore banks and along the Santa Maria coastline. A trip very carefully planned regarding operator, location and time but still the Azores showed us it's quite unpredictable side and we had to put up with pretty rough winds limiting our explorable area. Still we found mobula rays and great schools of barracudas over the sea mounts, triggerfish aggregating in huge numbers, numerous groupers of great size that are an uncommon sight these days and loggerhead turtles out in the big sea. 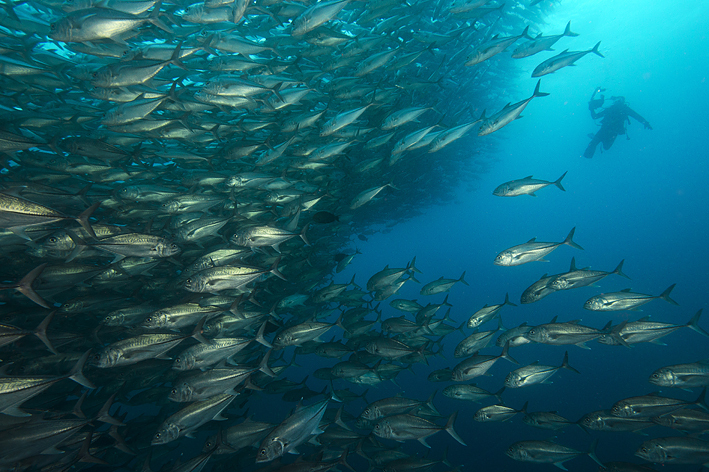 Santa Maria's very rich fish life with schooling fish was around all the time. From a geological perspective we discovered fantastic cave formations and an underwater bank consisting of columnar hexagonal basalt formations great for wide angle photography. And the last day the weather allowed us to go all the way to the "real" blue shark bank far away from the island. We were awarded with a stunning blue shark coming in to visit us close up along with a bunch of pilotfishes. What a graceful creature and being able to witness the shark in it's own environment is such a powerful experience. So we had a rough pretty rough week with strong winds. Even though we got good diving out of it all of us joining this trip realise that with some good weather it could have been several levels better. There is so much potential. 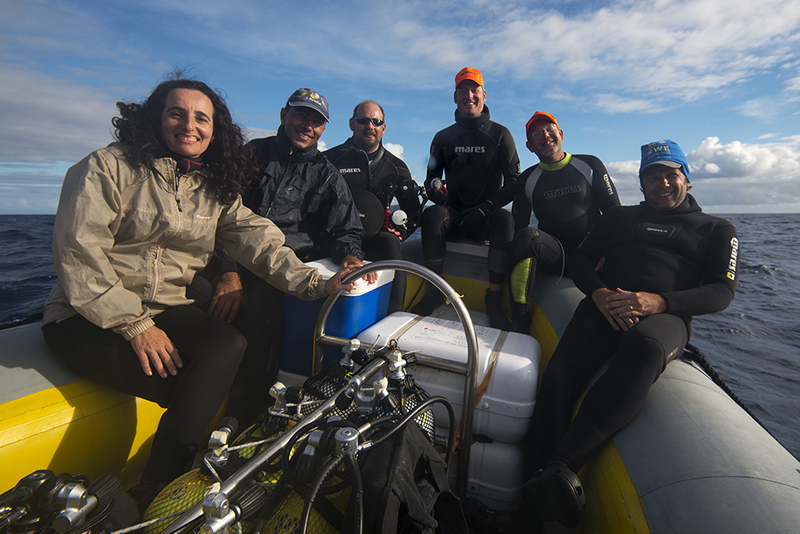 We could explore some really extraordinary sites around the Formigas far away, we could have been out at the "real" blue shark mount many more times and we could have enjoyed the sea mounts with schools of mobulas more frequently. There is much more to be done. That's why we will set up another trip in early September 2014 where we hope to bag more encounters with blue sharks and if we are lucky a mako sharks. We hope to see the whale sharks that are common in the area at this time and we will focus on schooling mobulas, wide angle photography in caves and around basalt formations and the sites with extraordinary marine life close to the island. Are you game for a week of adventure in September 2014 then contact us soon as the number of guests are very limited. 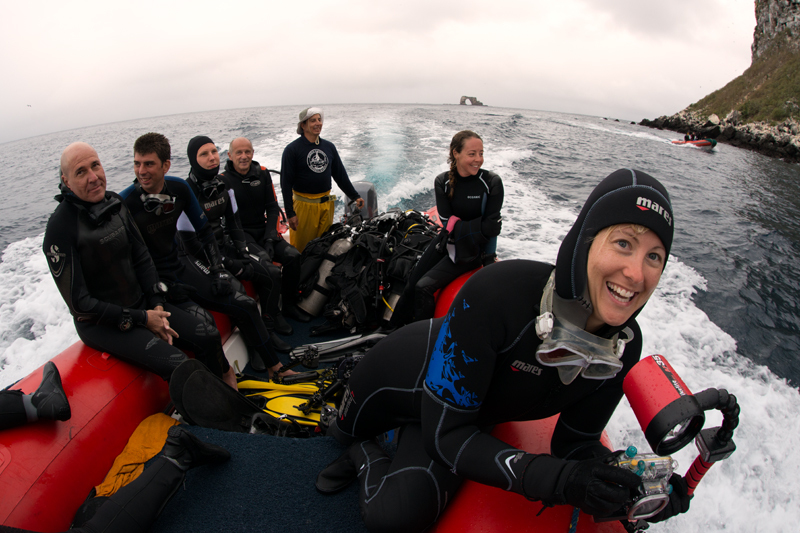 A group of photo professionals and enthusiasts visited the famous Sardine Run from a futuristic and convenient liveaboard. We started off from East London and the boat allowed us many more hours at sea looking for action than a conventional landbased Sardine Run set up. 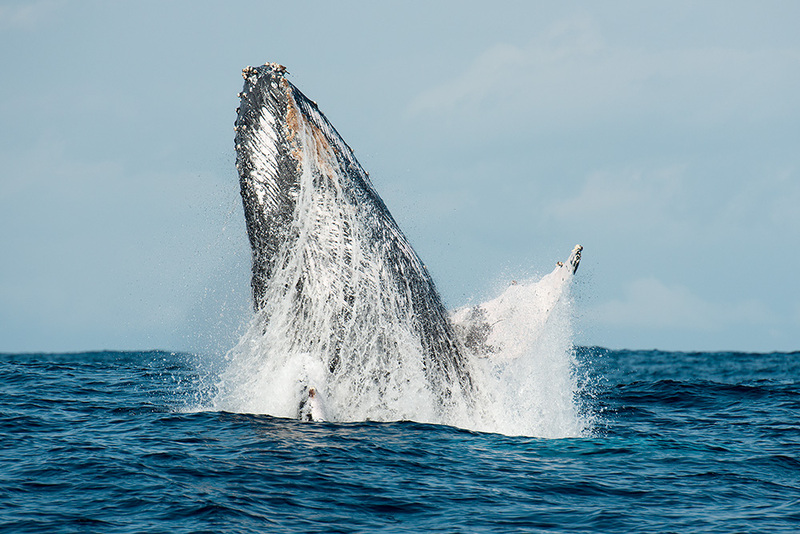 Along the coast we met a constant flow of humpback whales running up the coast heading for Mocambique's warm waters. One morning we had a couple of modelling whales constantly breaching (like every minute or so) along our liveaboard from early morning until lunch time. 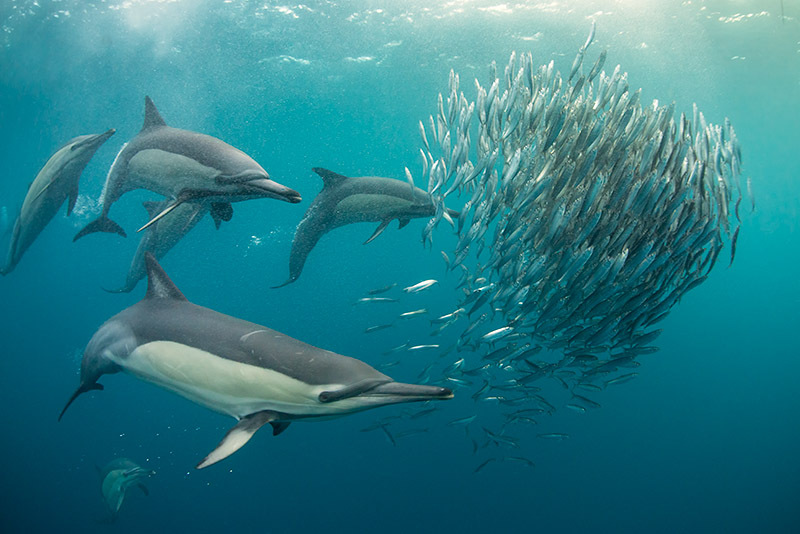 The Sardine Run rewarded us with many baitballs, hunting common and bottlenose dolphins, gannets diving from sky, sharks roaming around the sardines and elegant albatrosses cruising over the calm sea in the sunset. 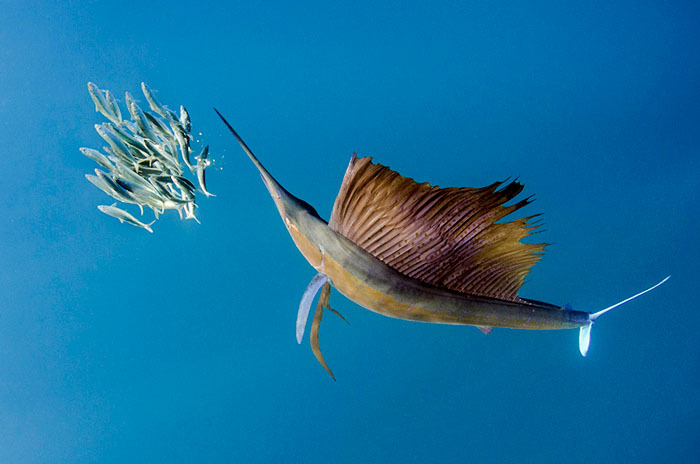 We even got several sailfish to come in on 75% of the stationary baitballs we experienced. Very unusual for the wild coast. 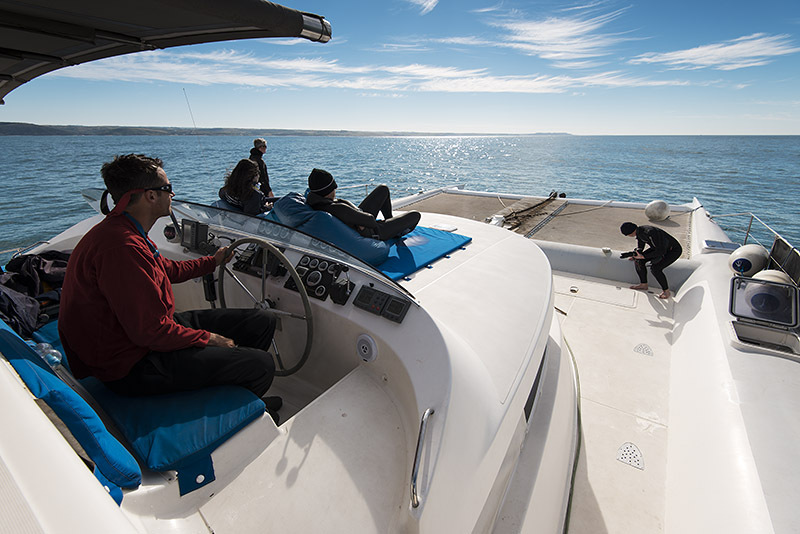 Half of the participants did a shark extention to Umkomass after the Sardine Run week and enjoyed photographing blacktip and sandtiger sharks around Aliwal Shoal. It was a fantastic combo. 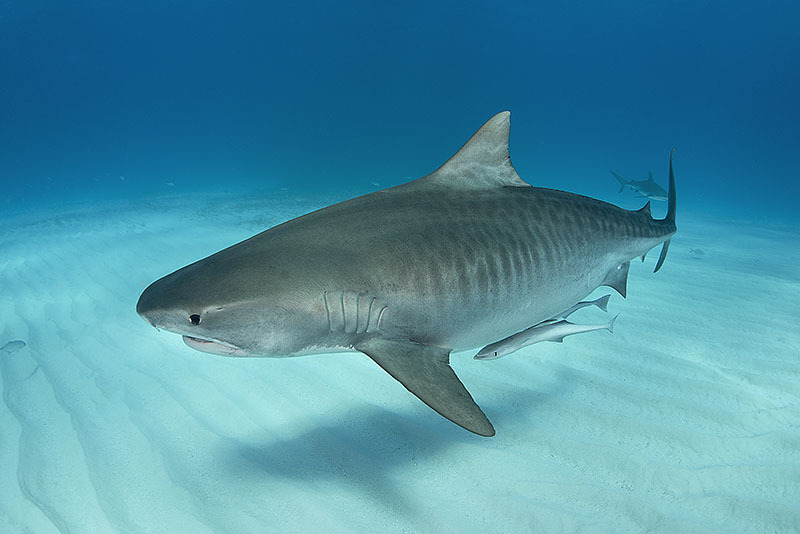 Our Bahamas Tigershark Expedition found tiger sharks and we were lucky to get a really good player that kept coming back and model for our cameras every day. We called her "Trinde" because of her stocky round shape. Apart from the tigers we enjoyed large aggregations of lemon sharks and carribean sharks where around on all our dives. Nurse sharks showed up once in a while and we even got a couple of great hammerhead to come around on a very special site. Our itinerary included a visit to White Sand Ridge to meet the Atlantic spotted dolphins that is normally hanging around there. 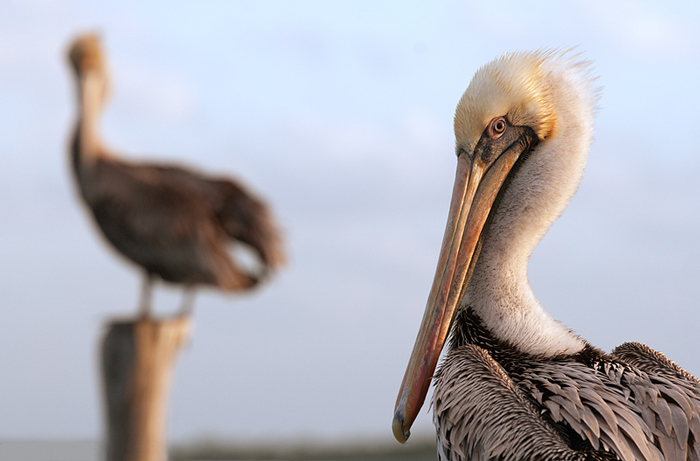 And we got them to show up for us after a half day of stubborn search by our skilled captain. Our focus was sharks and dolphins but the western Atlantic Ocean revealed great marine life in clear and blue water as well. Galapagos Islands is always an extraordinary destination but at this time of the year it is even better. It is prime whale shark season. Our top-of-the-line boat together with dive guides Xavier, Giancarlo and staff made this action packed and adventurous expedition as safe as it could possibly be. We had an absolute whale shark bonanza around Darwin's Arch and on a couple of dives we counted up to 10+ big whale sharks. 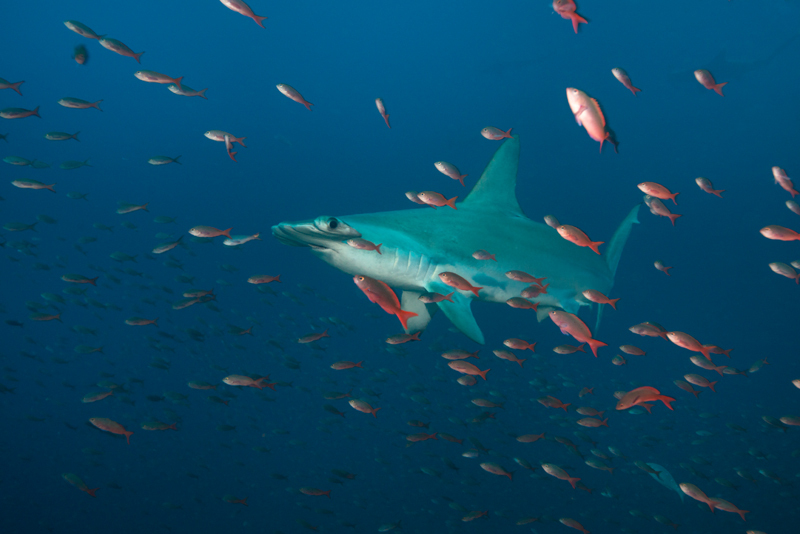 Around Wolf Island we met schools of hammerheads, eagle rays in formation, Galapagos sharks cruising in the current and silky sharks in the blue. Heading south towards Isabela it just continued with dolphins, turtles, penguins, sea lions, fur seals, diving birds, Mola molas, bullhead sharks, sea horses, red-lipped batfish and endless schools of trevallies, tunas and pompanos. What a place! 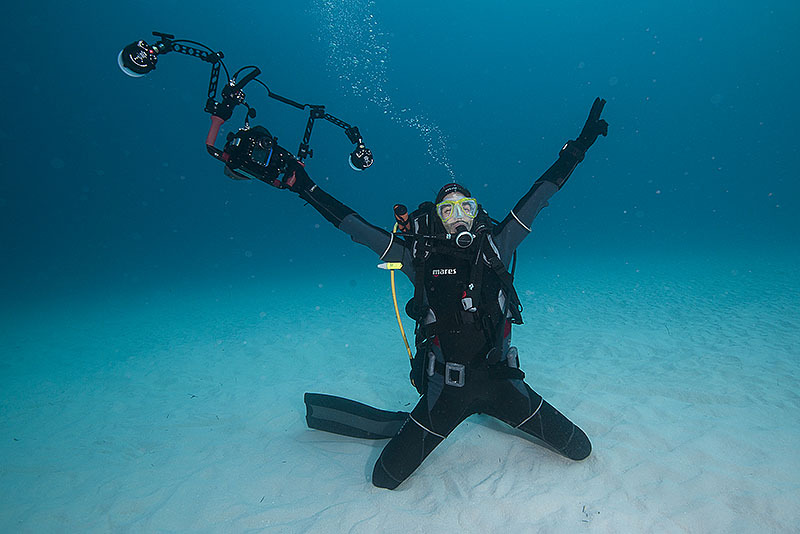 This is a world prime dive location for good reasons and for many people a "once in a lifetime destination" but all of us on this expedition want to go back again as soon as possible! 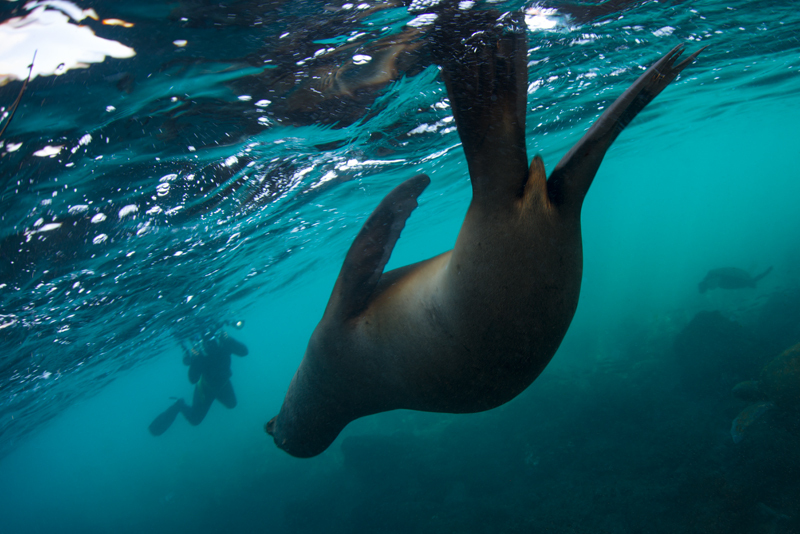 Galapagos Islands is always an extraordinary destination but at this time of the year it is even better. 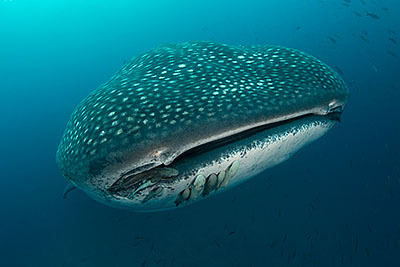 It is prime whale shark season. Our top-of-the-line boat together with dive guides Peter, Max and staff made this action packed and adventurous expedition as safe as it could possibly be. We had an absolute whale shark bonanza around Darwin's Arch and on a couple of dives we counted up to 10+ big whale sharks. 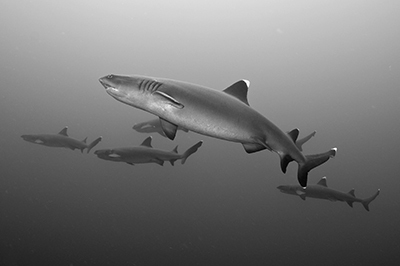 Around Wolf Island we met schools of hammerheads, eagle rays in formation, Galapagos sharks cruising in the current and silky sharks in the blue. We gathered in a bay lying four hours drive south of Hurghada. In more than two decades me and Magnus Persson have taken divers to Shagra and at this point we know the reefs like our own back pockets. It is the perfect place for the students to develop UW-photo techniques. The easy access just walking in and out of the water from the beach, unlimited dives and unlimited dive time in combination with very a good reef made our time both fun and creative. We did it all this week. Classroom sessions with basic photogaphy knowledge, wide and macro techniques, equipment, lenses, lighting, maintenance, problem solving, editing as well as shooting three times per day. Tiring but the result was new skills and really cool images for the students. We combined our easy access to the best house reef in Egypt with various zodiac trips to premier sites like Elphinstone and Nemo City. The huge turtles and guitar rays in Marsa Abu Dabbab (but no Dugong this time) were prefect models for wide angle. We had a strange massive aggregation of jelly fish (Aurelia aurita) that we have never seen in the Rea Sea before. 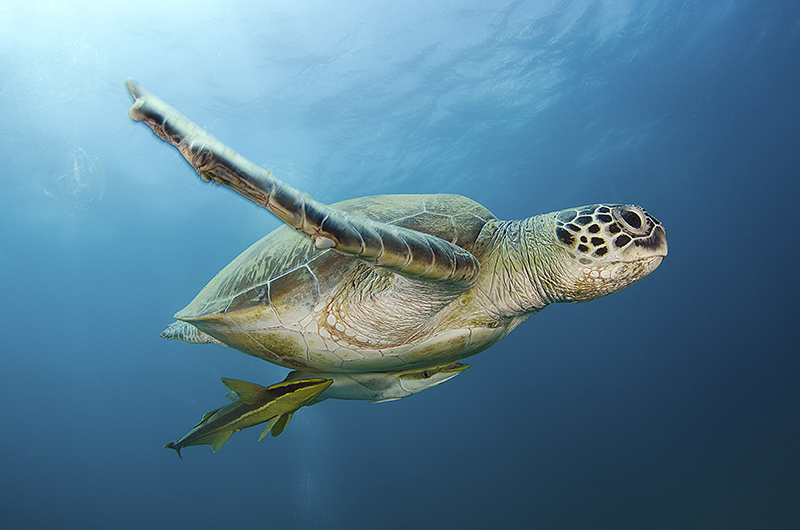 Cocos Island is tiny and remote island off Costa Rica and ranks among the best dive destinations in the world. 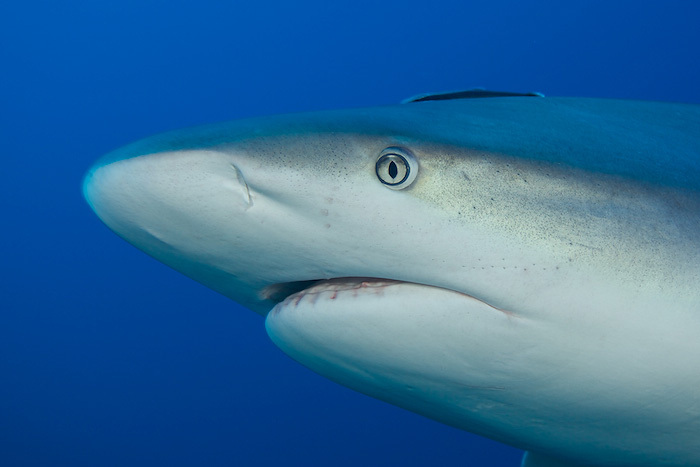 There are several reasons why but the abundance of sharks is one of the strongest arguments. 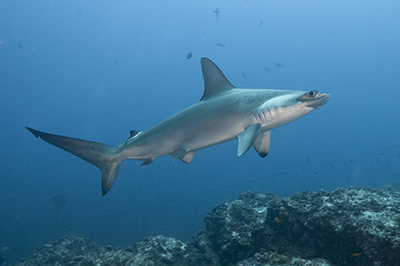 Cocos Island is maybe the best place on earth for unbaited shark diving. We met scalloped hammerheads on almost all our dives. Whitetip reef sharks are everywhere and there is a special night dive (rated best in the world) packed with hunting whitetips. We photographed Galapagos sharks and silky sharks half of the expedition participants spotted a tiger sharks on their last dive. This was a boutique expedition with only room for four participants. 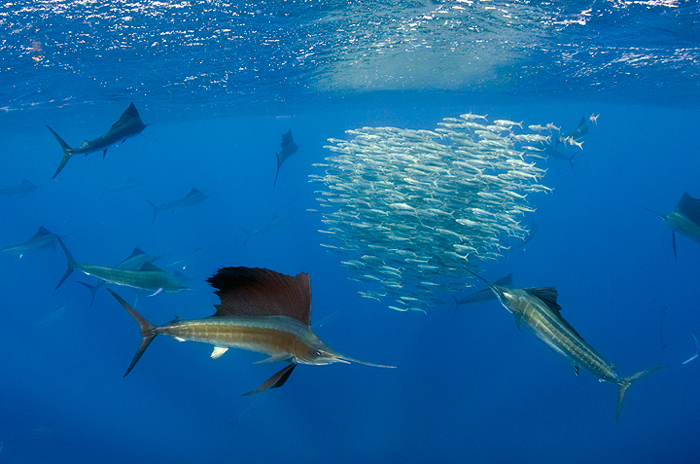 Our target was the elegant, fast swimming Atlantic sailfish (Istiophorus albicans). First mission was to find it and then to stay close enough to get images of it when it was hunting. 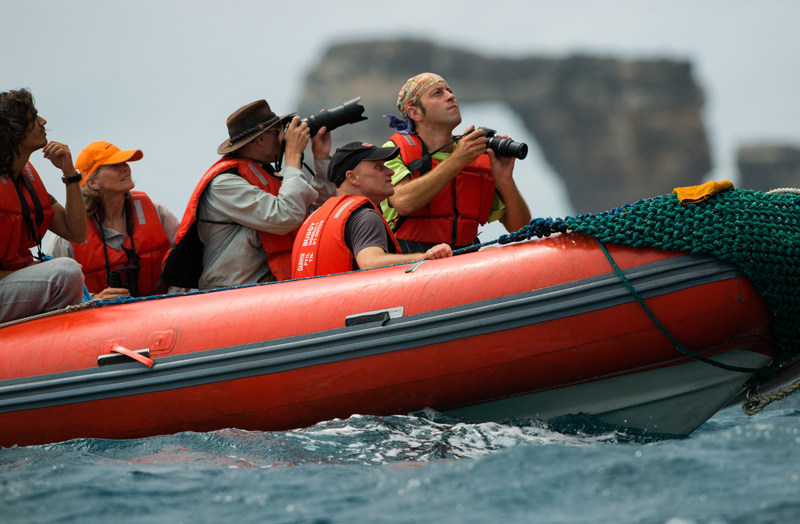 We used the skipper and boat that was used for BBC "Blue Planet" successful big blue shoot. 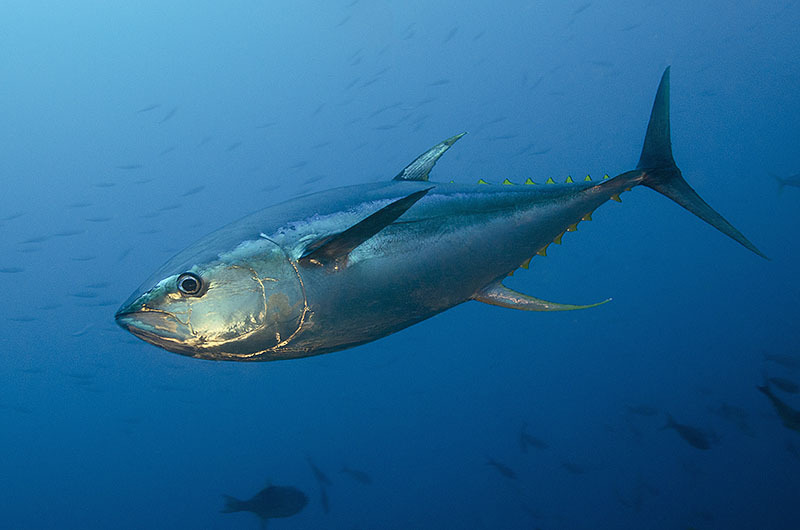 So our skipper looked for the frigatebirds, and the frigatebirds looked for the sardines which attract the sailfish. We invested in five days to make a serious attempt and the result was one "no-action-at-all" day, one day was barely OK, two days were good and our last day was fantastic. 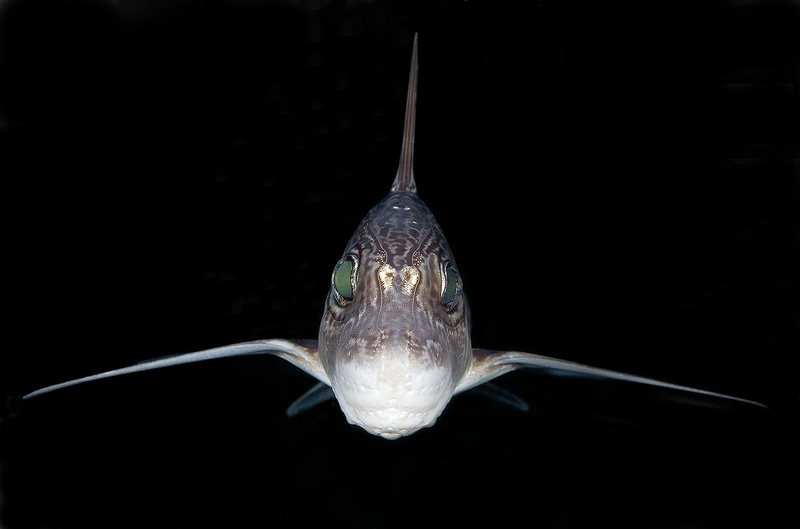 All images were shot while free diving. Exposure Expedition arranged for small tanks with back packs to be available be we never used them. All four of us kept free diving even with the very stationary baitball. 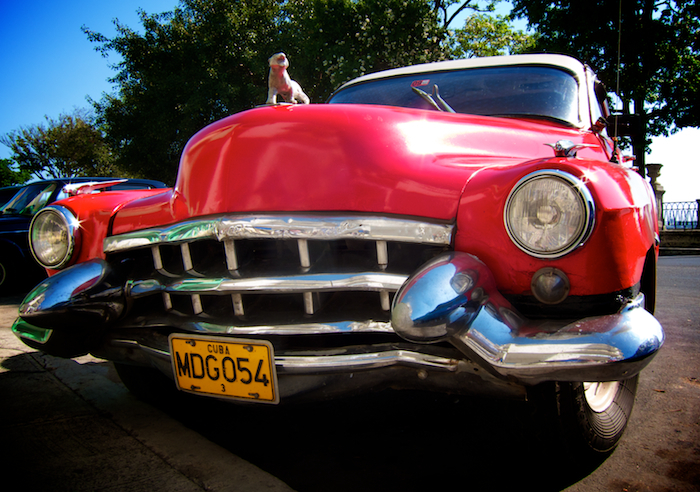 Fidel Castro have protected a string of islands and reefs on the southern side of Cubas main island. 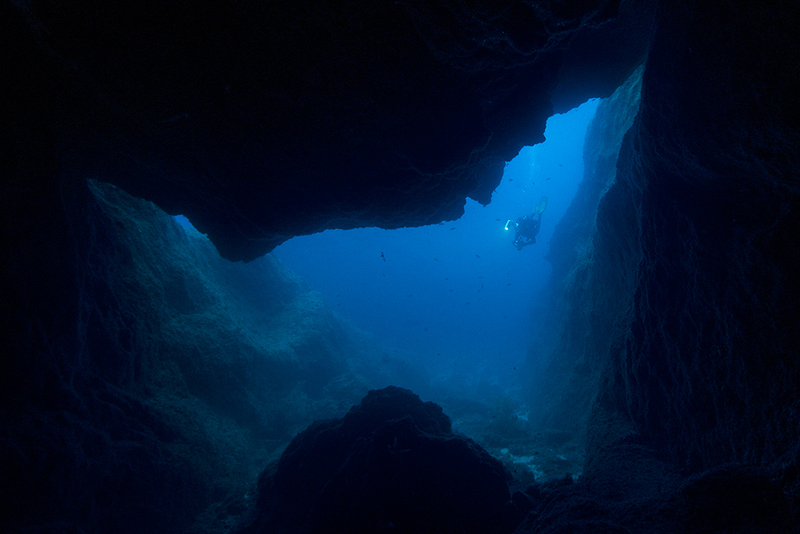 Jardines de la Reina is exclusive to only a few divers per year. When we visitied the queen's reefs we realise that Jardines de la Reina is problably an example of how all Carribean reefs flourished a long time ago. Jardines de la Reina feels like a ancient time capsule boiling with life . Sharks are very abundant. 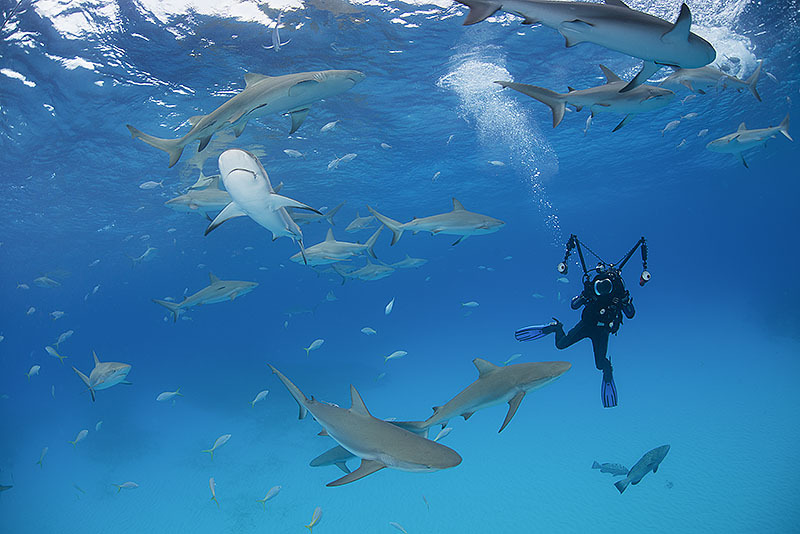 It is mainly silky sharks and carribean reef sharks often seen in great numbers and close up on almost all dives. But it is the big picture, the overall scene, that is most impressive with Jardines healthy and unbleached reefs, the great schools of tarpons, huge groupers and barracudas. The overall diversity and biomass is striking. 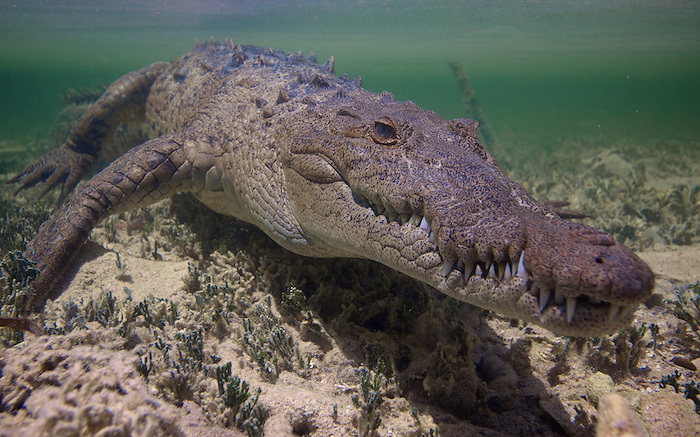 In the lush mangroves around the islands we got the opportunity to dive with a Cuban crocodile. The Philippines i lying inside what is called the coral triangle where the world's most diverse and complex coral reefs are situated. Exposure Expeditions decided to go and photograph the diversity of the Philippine reefs on locations where we knew there would be critters in high numbers, protected marine areas as well as good wide angle opportunities. Malapascua is a small island at very the north end of Cebu and it is famous among divers for a large seamount (Monad Shoal) which is a hot spot for watching thresher sharks. 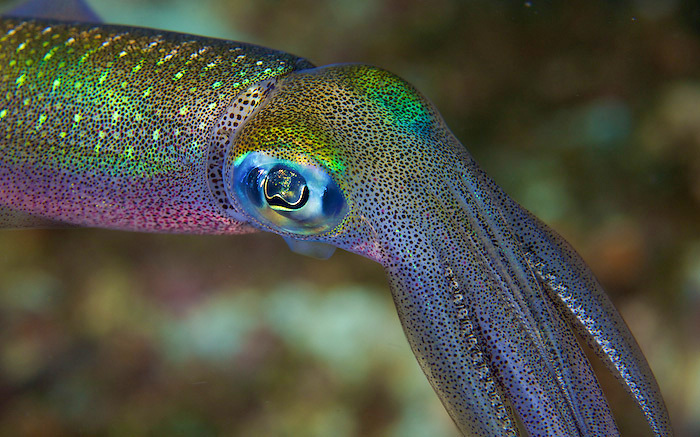 We found many other dive sites around Malapascua and nearby Gato Island worth exploring for critters and other reef life. Our photo expedition continued south to Dauin on the island Negros where we easily reached high class muck diving sites covered by black lava sand and on day trips we visited nearby Apo Island for the rich hard coral coverage, green and hawksbill turtles, banded sea snakes and other wide angle opportunities. Around Baa atoll in picture perfect Maldives one of the great spectacles in the sea take place. 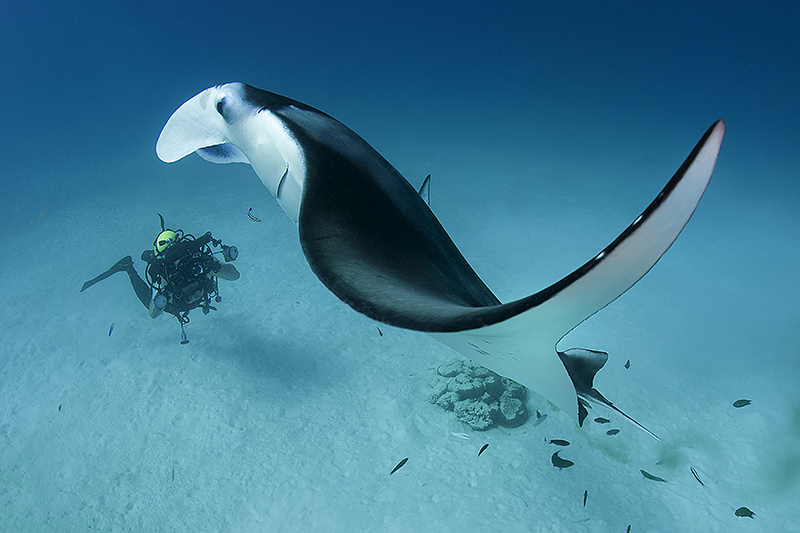 It has probably been going on for ages but it was not so long ago since Hanifaru Bay was discovered as one of the main spots in the world for divers to see great aggregations of the world's largest ray - the manta ray. 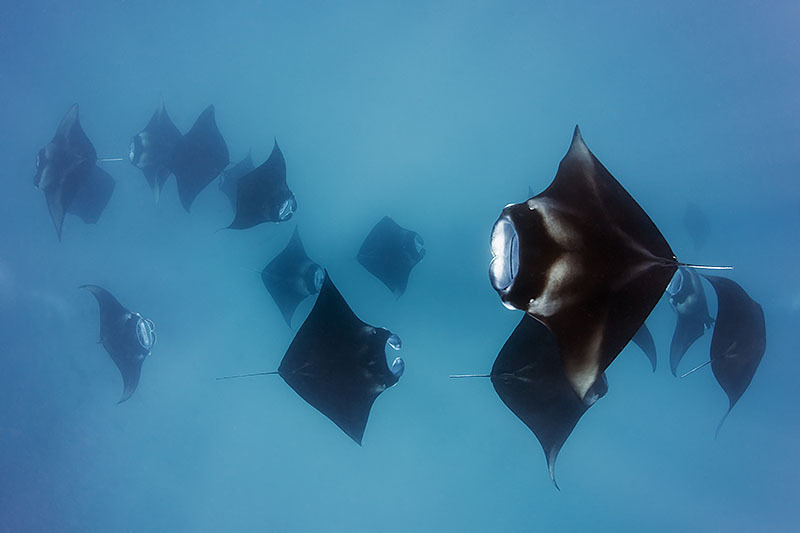 Sometimes 100, sometimes even more than 200 manta rays gather over a sandy bay smaller than a soccer field to feed on plankton. Even whale sharks are known to sometimes join in. We had a slow start and was waiting for the manta action to start. Timing is a crucial element and intentionally we got on location some days before it was supposed to happen according to the moon phase and local experience. We had time to discover the local frog fishes, white anemones, surrounding atoll reefs and strong currents that swim around Baa Atoll's beautiful islands. 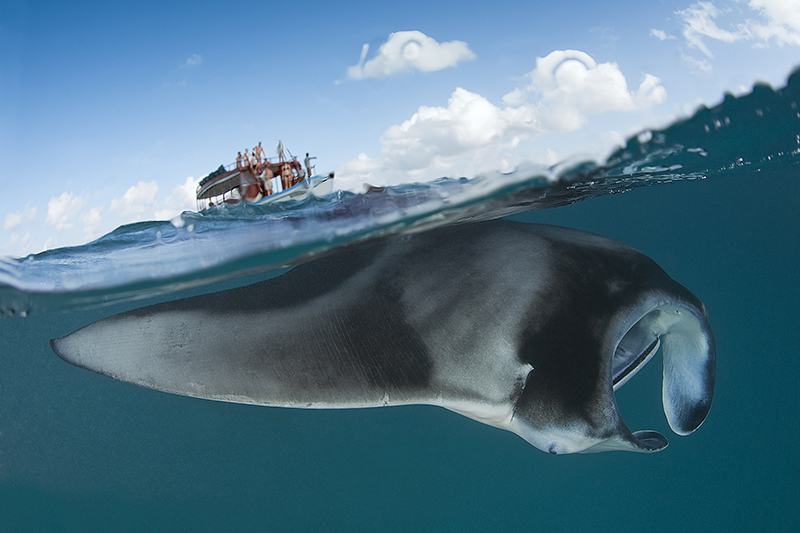 Then finally the manta action picked up, same day as the full moon, and it was absolutely mind blowing experience. Trains of mantas, carousels of mantas, manta rays doing the washing machine-like roll, everywhere there were suddenly mantas and it kept going on for three days. The rays where behaving like flocks of gigantic birds in a underwater planktonic feeding frenzy. It was a unique trip, to a unique place on a very unique moment. Sometimes timing and research is making the whole difference. After many years of serious cold water UW photography in Trondheimsfjorden me and Patrik Karlsson decided to revisit our favourite sites with a group of UW photographers and biology focused divers. 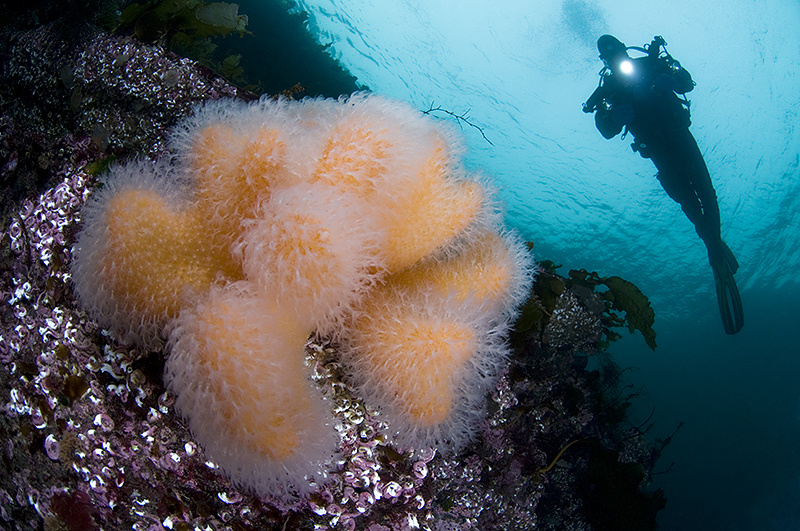 Trondheimsfjorden is one of few places in the world where the cold water Lophelia reefs can be found at recreational dive depths at around 40 meters. 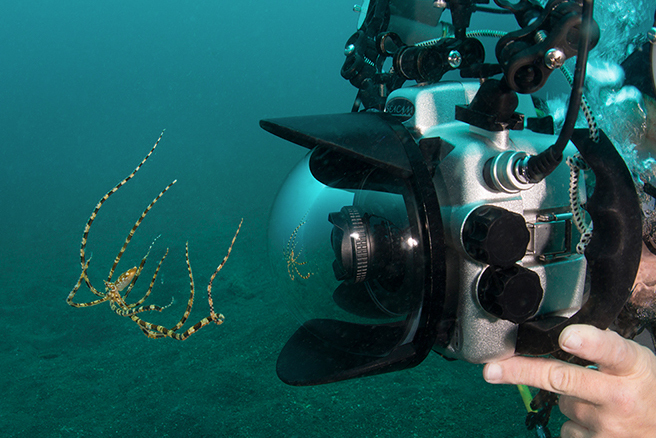 The whole week our cameras were working hard and imaged the dynamic fjord marine life in crystal clear water. 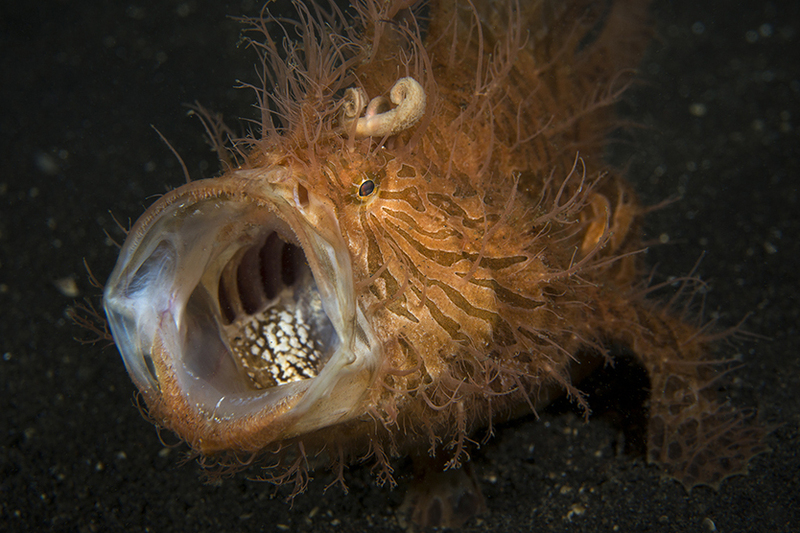 We found the strange ghost sharks during the night, vivid cold water sea fans and basket stars in the current as well minute subjects like colourful nudibranchs and waving ghost shrimps. 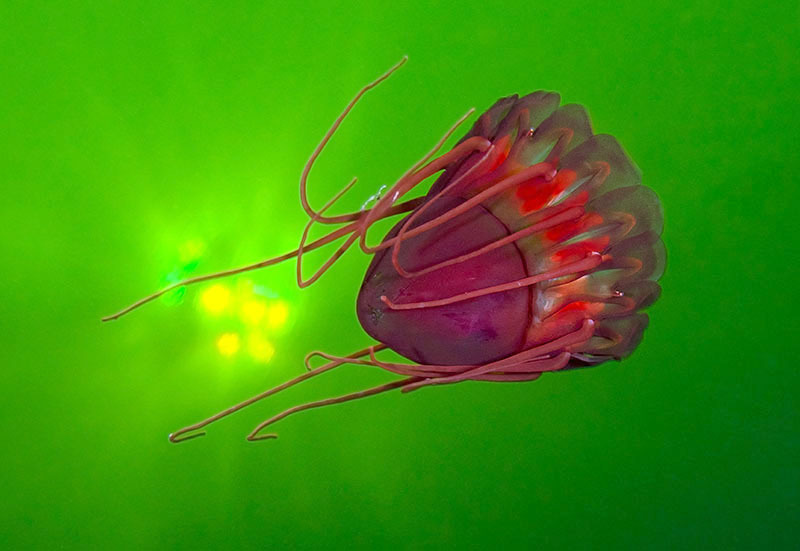 We were lucky to discover a new spectacular dive site with regular sitings of the deep water jellyfish Periphylla periphylla which is a large jellyfish living for 20 years.